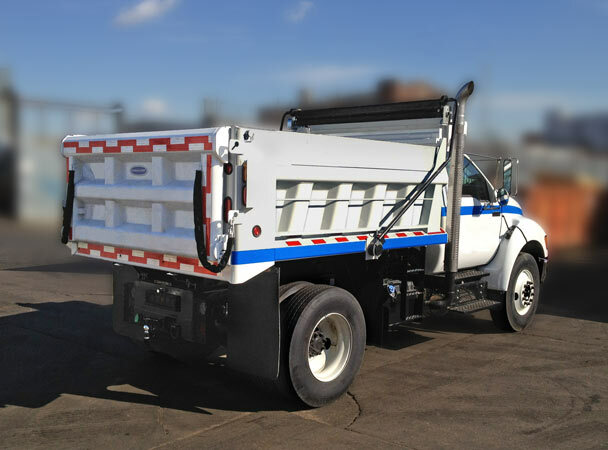 Municipal users and contactors who demand top value from their investment have learned that DuraClass delivers with the HH and HM Dump Bodies. A compact workhorse, the HM and the heavy duty HM are engineered for hard impact and maximum life. Direct welding of the sidewalls to the body floor, supported by DuraClass' structural subframe, provides rigidity to withstand punishing assignments.DuraClass' patented sidewall design and smooth radius of the body side and bracing adds longevity and strength. 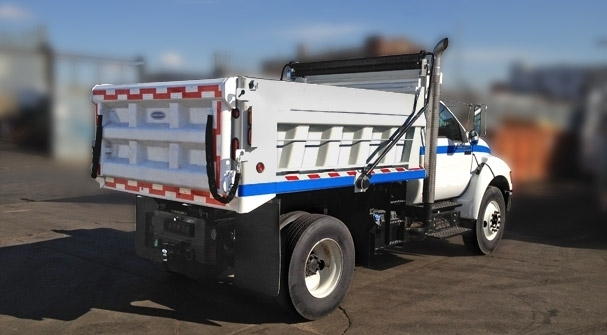 You could settle for less when spec'ing a dump body, but you'd get less in the long run. The HM and HH utilize a stacked understructure. The HM uses 4" structural channel crossmembers and the HH uses 4" I-beam crossmembers on 6" I-beam longmembers. Extra wide corner posts are full depth and fully enclosed and vertical side braces are extra wide to provide years of durable and trouble-free service.